When it comes to art, nothing catches our fancy quite like graffiti. We mean it—we literally don't care about any art that isn't illegal in the first place. Vandalism, defacement of property, you name it—we're just hard like that. 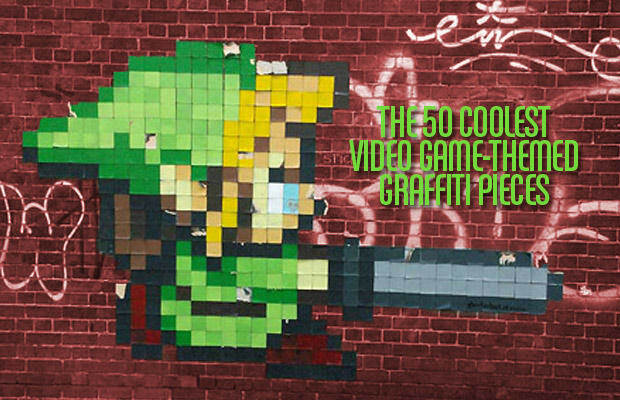 That's why there are few things we love more than when street art crashes headfirst with the other favorite hobby of thugs like us: video games. From oldschool Mario to Halo and beyond, they're all represented here in one form or another. So if you're like us, uncork that bottle of Olde E, lean back and read on.